Here, you can find tables showing the TV Ratings for NASCAR’s National Series dating back to 2016. For the Monster Energy NASCAR Cup Series, they go back to 2016. 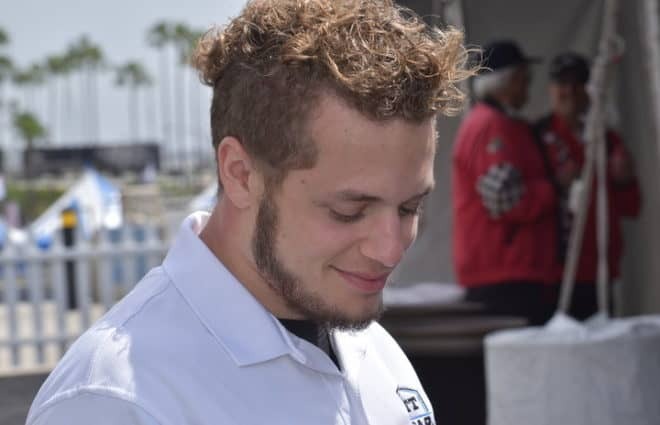 We also have eating for the NTT IndyCar Series back to 2016 as well. For each individual race broadcast, the day of the race will be listed, along with the rating (if available), audience size and the network that the broadcast aired on. For races in which unusual and/or unexpected events occurred to affect ratings, they will be noted below the chart. Ratings are courtesy of ShowBuzzDaily’s Skedball page, while older ratings are courtesy of Jayski, Sports Media Watch and Awful Announcing. 1. The 2014 Daytona 500 was red-flagged due to severe weather and a tornado warning early on. Following a delay of six hours and 22 minutes, the race resumed. 2. The 2014 Food City 500 was red-flagged after 124 laps due to rain. After hours and hours of rain, the race resumed, but on FOX Sports 1. 3. The 2014 Duck Commander 500 was postponed one day due to rain. 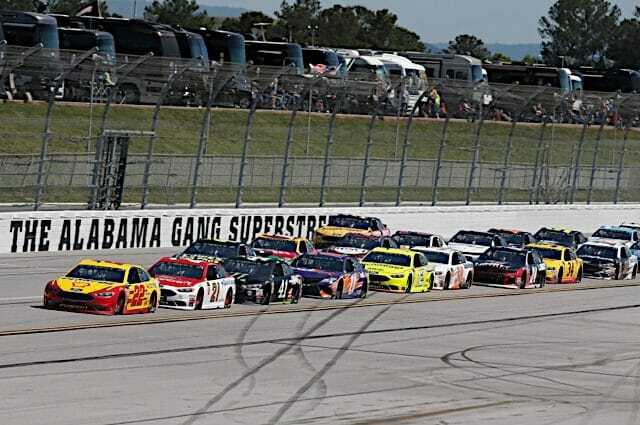 The rescheduled race aired on Sunday afternoon as opposed to Saturday night. 4. The 2014 Coke Zero 400 was postponed one day due to rain. The rescheduled race aired on Sunday afternoon as opposed to Saturday night. The rescheduled race was itself affected by a brief red flag for rain early, then was cut short after 112 of the scheduled 160 laps due to more rain. 5. The start of the 2014 Bank of America 500 fell victim to the grandmaster of bad scheduling. A college football game on ABC went long by an hour. Additional live college football games were airing on ESPN and ESPN 2. The alternate place for the start of the race (ESPNEWS) had a NBA preseason game go into overtime, resulting in the start being unavailable on television. ESPN claimed that the race start would air live on ESPN3, but that did not happen. 6. The 2015 Food City 500 In Support of Steve Byrnes started on FOX, but was red-flagged after 20 laps due to rain. After multiple hours, the race continued on FOX Sports 1. 7. The 2015 Toyota Owners 400 was postponed due to rain and run on Sunday afternoon. 8. The 2015 SpongeBob SquarePants 400 at Kansas had a long rain delay at the start and finished well after midnight. 9. The 2015 Coke Zero 400 started four hours late due to heavy rains and likely would have been postponed had the race not already been moved to Sunday night at NBC’s request. Also, a near-mandatory test at Kentucky Speedway was scheduled for Tuesday, meaning that the race needed to be completed Sunday night. The event finished at 2:40 a.m. with a gigantic crash in the tri-oval. Also, the race was held during the height of the Daytona Rising construction. Only 40,000 seats were made available for purchase. 10. The 2015 Bank of America 500 was postponed one day due to heavy rains. The race ran on NBCSN on Sunday afternoon as a result. 11. The 2015 Quicken Loans Race For Heroes 500k was delayed for many hours due to heavy rains. Once the race started, it aired on NBCSN instead of NBC. 12. The 2015 Ford EcoBoost 400 was delayed by two hours due to rain. Special dispensation had to be given to allow the race to finish on NBC despite running over into Football Night in America. 13. The 2016 Axalta “We Paint Winners” 400 was postponed one day due to rain. The race ran on Monday afternoon. 14. The 2016 Pennsylvania 400 was postponed one day due to rain. The race ran on Monday afternoon. 15. The 2016 Bass Pro Shops NRA Night Race was postponed one day due to rain. The race ran on Sunday afternoon. 16. The 2016 Bank of America 500 was postponed one day due to rain. The race ran on Sunday afternoon and was simulcast on NBC and NBCSN. 17. The 2016 AAA Texas 500 was delayed by six hours due to rain and bad track drainage. The race ended up airing on NBCSN. 18. The 2017 Advance Auto Parts Clash was postponed one day due to rain. The race ran on Sunday morning on FOX Sports 1. 19. The 2017 Food City 500 was postponed one day due to rain. The race ran on Monday afternoon on FOX. 20. The 2018 Folds of Honor QuikTrip 500 originally had the start of the race moved up one hour due to impending weather. The rains ultimately moved the start of the race back to just after 3:30 p.m., 90 minutes after the original start time. 21. The 2018 STP 500 was postponed one day due to snow and the need for first responders to address issues in the Martinsville area. The race ran on Monday afternoon on FOX Sports 1 as the second part of a doubleheader. 22. The 2018 Food City 500 started early due to impending weather. The race was red-flagged three times due to rain on Sunday, then postponed after 204 laps. The remaining 296 laps were run the next day. 23. The 2018 FireKeepers Casino 400 at Michigan International Speedway was delayed for 2.5 hours at the start due to rain. The race was then shortened to 133 laps due to rain. 24. The 2018 Foxwoods Casino Resort 301 at New Hampshire Motor Speedway was originally supposed to start just after 2 p.m. Due to the threat of rain, NASCAR moved the start up to 1 p.m. Rains prevented the race from going green until 4:24 p.m.
25. The Brantley Gilbert Big Machine Brickyard 400 was delayed to Monday due to heavy rains and ran as the second half of a double header. 26. 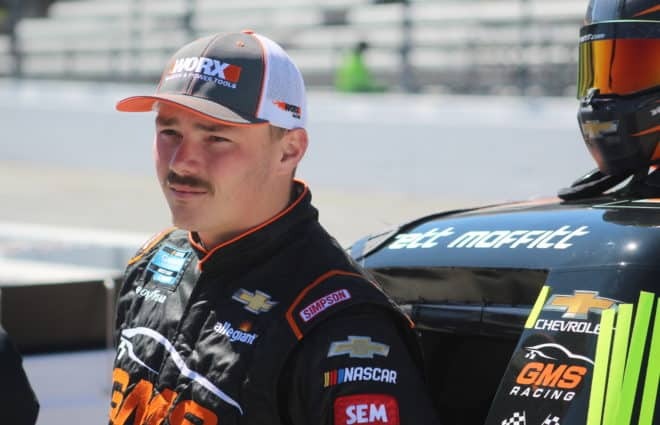 The 2019 Advance Auto Parts Clash started on time, but was stopped after nine laps due to rain. After a short red flag, the race resumed, but was ultimately cut to 59 of the 75 scheduled laps due to rain. 1. The 2016 Pocono Green 250 was shortened to 53 of the scheduled 100 laps due to rain. 2. The 2016 Zippo 200 was moved to CNBC due to NBC Sports’ coverage of the 2016 Summer Olympics in Rio. 3. The 2016 Mid-Ohio Challenge aired on USA due to NBC Sports’ coverage of the 2016 Summer Olympics in Rio. In addition, the race started on the NBC Sports App and NBCSports.com due to a Men’s Basketball game between Argentina and Brazil running long. 4. The 2016 Drive for the Cure 300 was postponed to Sunday due to rain and ran prior to the Cup race. 5. The 2016 Drive Sober 200 was postponed to Sunday due to rain and ran at 10 a.m. Sunday morning. 6. The 2017 Fitzgerald Glider Kits 300 at Bristol had a mid-race red flag due to rain. 7. The 2017 Coca-Cola Firecracker 250 at Daytona was postponed to Saturday afternoon due to rain. The race coverage was moved to CNBC as a result. During the actual race, there was another red flag due to rain. 8. The 2017 ALSCO 300 at Kentucky was postponed due to rain and run Saturday afternoon. 9. The 2018 DC Solar 200 at ISM Raceway was red-flagged after Stage No. 1 due to rain. The race coverage was moved from FOX to FOX Sports 1 as a result. Another red flag was displayed due to rain later in the race. 10. The 2018 LTi Printing 250 at Michigan International Speedway was delayed for over three hours at the start due to rain. Coverage moved from FOX to FOX Sports 2 due to the delay. The available ratings are only for the portion of the broadcast aired on FOX. 11. The 2018 Lilly Diabetes 250 at Indianapolis was postponed twice due to rain. It ultimately ran at 10 a.m. on Monday as the first half of a doubleheader. 1. The 2016 North Carolina Education Lottery 200 was postponed due to rain and ran Saturday afternoon prior to the then-Sprint All-Star Race. 2. The 2016 Careers for Veterans 200 was delayed for hours due to thunderstorms. While pre-race coverage aired on FOX Sports 1, the race itself ultimately aired on FOX Sports 2. The broadcast rated outside of the top 150 cable broadcasts for that day. 3. The 2016 UNOH 200 was delayed for over an hour due to rain. 4. The 2017 Eldora Dirt Derby moved to FOX Business Network due to coverage of the United States Men’s National [Soccer] Team in the Gold Cup on FOX Sports 1 at the time of the race. 5. The 2017 UNOH 200 was delayed for over two hours prior to green due to rain. Despite Noah Gragson amusing those present with his shark head, the race went green after 10 p.m. on a Wednesday night. 6. The 2018 Alpha Energy Solutions 250 started on time, but was red-flagged after 23 laps due to rain that later changed to snow. The race was rescheduled to 7 p.m. the next day, but was then postponed again due to heavier than expected snow and the need for first responders to take care of the regional situation. The race ran on Monday morning at 11 a.m. as the first part of a doubleheader. 7. The 2018 Buckle Up in Your Truck 225 from Kentucky Speedway did not make the top 150 cable broadcasts on race night. Therefore, there are no ratings available. 1. Due to viewership dropping below 300,000, a Nielsen rating is unavailable for the 2016 Honda Grand Prix of Alabama. 2. The 2016 Sprint Cup Series Axalta “We Paint Winners” 400 at Pocono was postponed due to rain that day. As a result, viewership for the 2016 Chevrolet Dual at Detroit Race No. 2 was boosted. 3. The 2016 Firestone 600k was originally postponed to June 12 due to rain. The race started on Sunday, then was stopped after 71 laps due to rain and a huge crash for Conor Daly and Josef Newgarden. The remainder of the race was postponed to August 27. Neither the Saturday night or Sunday afternoon coverage in June made it into the top 150 cable broadcasts of their respective days. 4. The listed ratings are for the NBCSN broadcast of the 2016 Honda Indy Toronto. The race aired live on CNBC, then a tape-delayed broadcast aired on NBCSN after the completion of the Sprint Cup Series Bad Boy Off Road 301 from New Hampshire. The CNBC broadcast did not make the top 150 cable broadcasts for that day. 5. The Sprint Cup Series Pennsylvania 400 was postponed due to rain on this day. That led to a ratings boost for the 2016 Honda Indy 200 at Mid-Ohio. 6. The 2016 ABC Supply 500 was postponed one day due to rain. The Monday broadcast did not rate in the top 150 of cable broadcasts for that day. 7. The listed ratings are for the NBCSN broadcast of the 2017 Honda Indy Toronto. 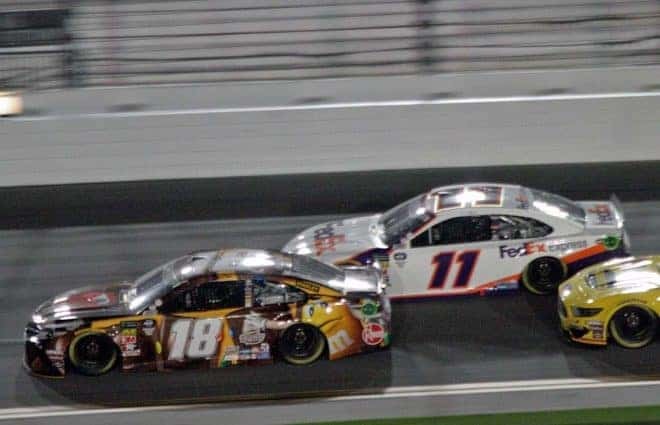 The race aired live on CNBC, then a tape-delayed broadcast aired on NBCSN after the completion of the Monster Energy NASCAR Cup Series Bad Boy Off Road 301 from New Hampshire. The CNBC broadcast did not make the top 150 cable broadcasts for that day. 8. The Honda Indy Grand Prix of Alabama was stopped early on due to rain, then completed on Monday. Neither broadcast made the top 150 telecasts on cable on April 22 or 23. 9. The listed ratings are for the NBCSN broadcast of the 2018 Honda Indy 200 at Mid-Ohio. 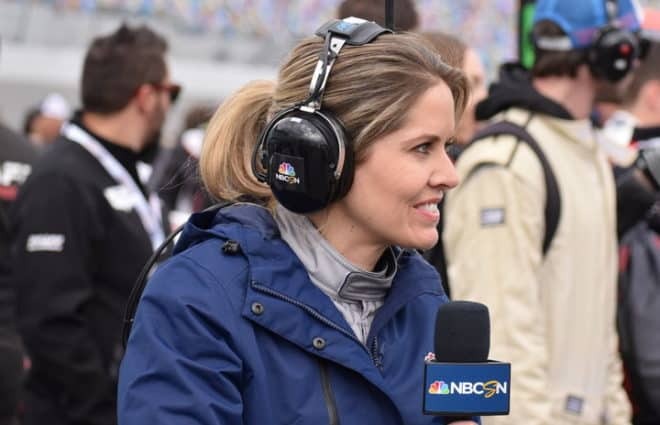 The race aired live on CNBC, then a tape-delayed broadcast aired on NBCSN after the completion of the Monster Energy NASCAR Cup Series Gander Outdoors 400 at Pocono Raceway was completed.